Paradise Valley Care has provided superior memory care assisted living in Atascadero to seniors with dementia and Alzheimer's since 1999. Family founded, owned, and run, Paradise Valley Care cares for every resident with dementia and Alzheimer’s as if they were our own family. Our beautiful, 15-bed home on 3 acres in west Atascadero provides a beautiful, enjoyable, and secure environment while our staff provides highly trained, personalized 24/7 awake care. Our mission is to provide excellent, personalized elder care with love and compassion, so that you can get back to being a family and not the caretaker. You can rest assured that your loved one is being cared for by highly trained, loving caregivers in a superior facility. We welcome visits and tours – call today to visit our outstanding home-based memory care facility! For nearly two decades we have worked with individuals whose memory is not what it used to be. 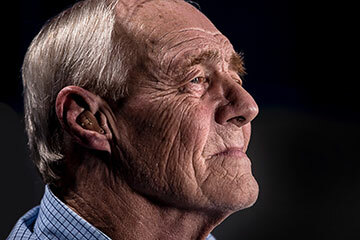 From mild memory loss to dementia to Alzheimer’s, we are licensed to care for your loved one with respect and dignity. We treat your family like family as you walk through the process of aging and memory loss. Engaging activities are extremely important for memory care. I just wanted to tell you thank you for everything and that your staff is really incredible. I hope that if I ever have to be put in a facility that I have such wonderful people taking care of me as your staff takes care of the residents there. They were beyond incredible. Paradise Valley Care has a wonderful reputation that offers such a needed service in the community. I see numerous people coming through our doors every week looking for the resources and the finest care for their loved ones. 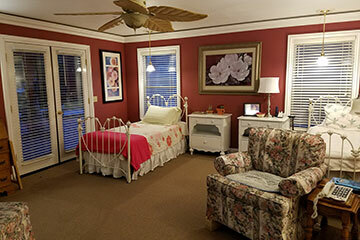 When they are able to send “mom or dad” or a beloved mate to this home, it really is like going to “paradise.” In fact, we think so highly of Paradise Valley Care, that we hold our annual Caregiver Retreat there every year. It’s just beautiful. After visiting several local facilities, I decided to place Mom in Paradise Valley Care. I liked their attitude and understanding of our needs immediately. As a Registered Nurse, I tend to be more critical than most when dealing with care givers. The facility itself is attractive, and immaculately clean. More importantly the young attentive staff treats each client as an individual, not just “another old person” to care for. Each client is clean and well groomed by staff and treated with the respect they deserve. I am a medical social worker in private practice in SLO County...I also work as a medical social worker at Twin Cities Hospital in Templeton. Based on my experience in both private practice and hospital social work, there is a definite lack of local board and care facilities to treat older adult patients when their families can no longer provide care at home...Paradise Valley Care provided excellent care to all the patients I referred and have allowed the patients to live out their last years in dignity. We were so fortunate to have found Paradise Valley Care for the last year of her life. The quality of care and love she was given was way beyond any expectations that we had. Mom was always so happy in her surroundings. I truly believe she felt as though everyone there was a part her family. We appreciated how clean and adorable she always looked, which helped us to face the difficult days of watching her time pass by. Thank you again for making her last year feel just like home.